Ukrainians online rally in the player's support. Roman Zozulya has returned to Real Betis hours into his loan spell with Spain's Rayo Vallecano after fans of his new club called him a Nazi, the BBC has said. The 27-year-old Ukraine striker wrote an open letter to fans of Rayo, who have a large left-wing fanbase, after his deadline-day move denying he had links to the far right. But supporters of the Madrid-based second-tier strugglers turned up to his first training session, protesting with a banner saying their town was "not a place for Nazis". Zozulya, who joined Seville-based Betis from Dnipro Dnipropetrovsk in the summer, will not be able to play again this season, because league rules say players cannot register for more than two teams in one campaign. Betis sporting director Miguel Torrecilla said: "We have decided it's in the best interests of the player to return to Seville. "The player is very upset, he didn't expect this to happen. Yesterday he wrote a letter to Rayo's fans but it seems as if he couldn't convince certain sectors and we'll receive him back here." 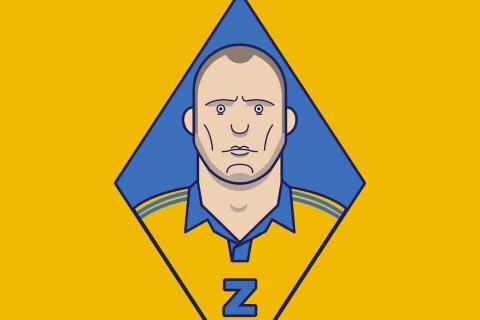 In Ukraine, Zozulya enjoys high respect among football fans and other Ukrainians alike because his patriotic stance and solid support for the Ukrainian army repelling Russia's aggression in the east. The news on his cancelled loan spell with Rayo Vallecano has triggered a wave of support among Ukrainians in social media under the hashtag #proudofzozulya.